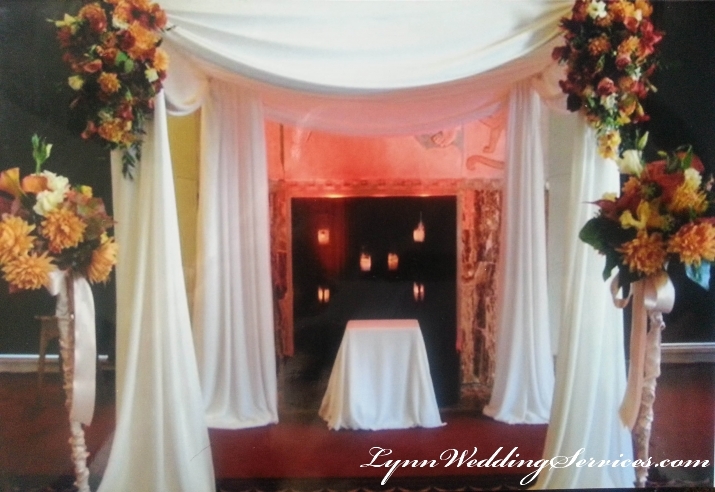 – Arches, Roman columns rental for the Ceremony Altar area. 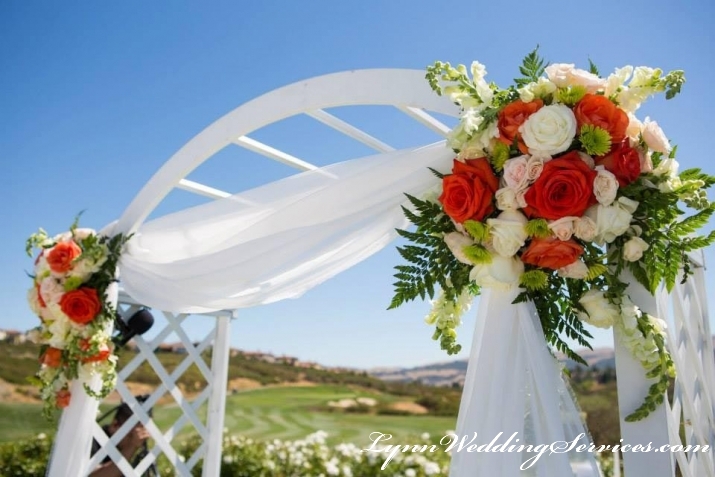 – Pews for the ailse, we can do flowers or bows or custom make per your request. 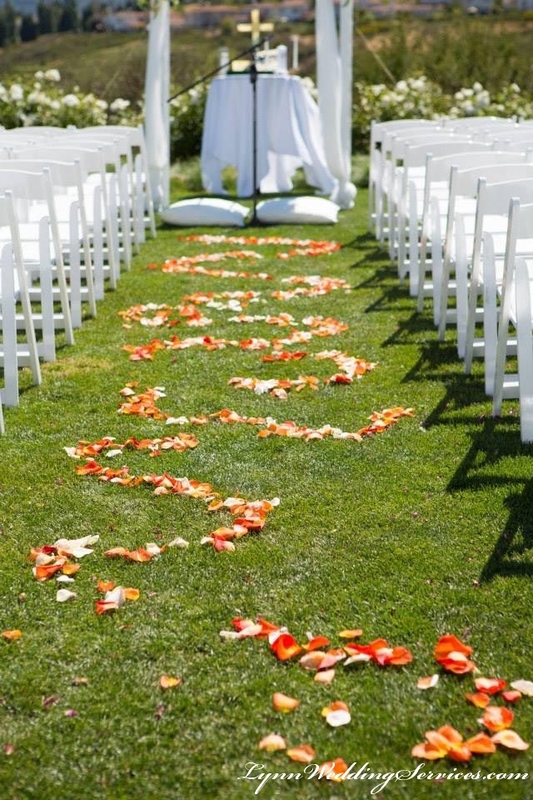 – Rose Pedals for the ailse, fresh or silk. 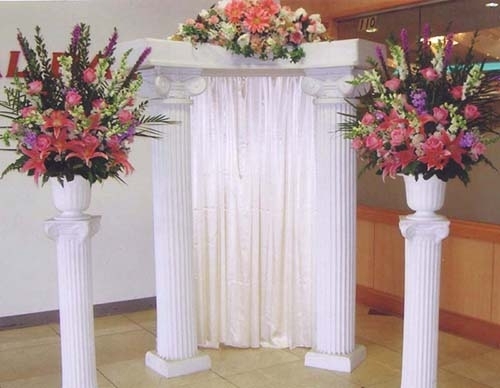 – Large Vases for church or outside ceremony. 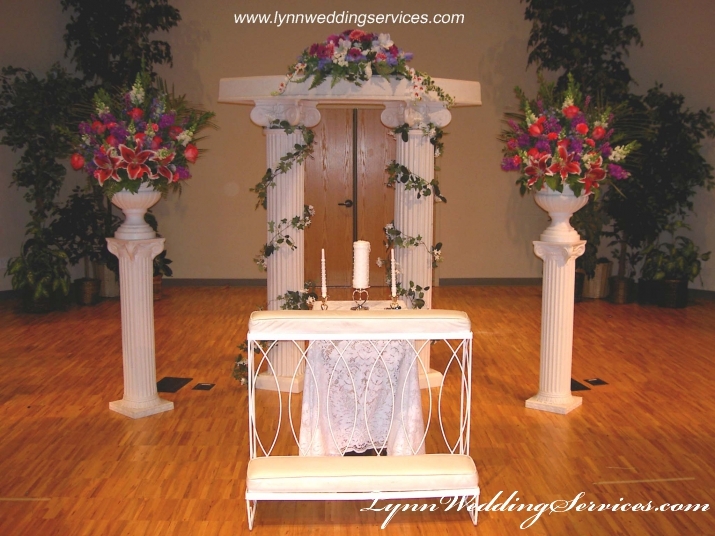 – Column Stands for the 2 large vases. 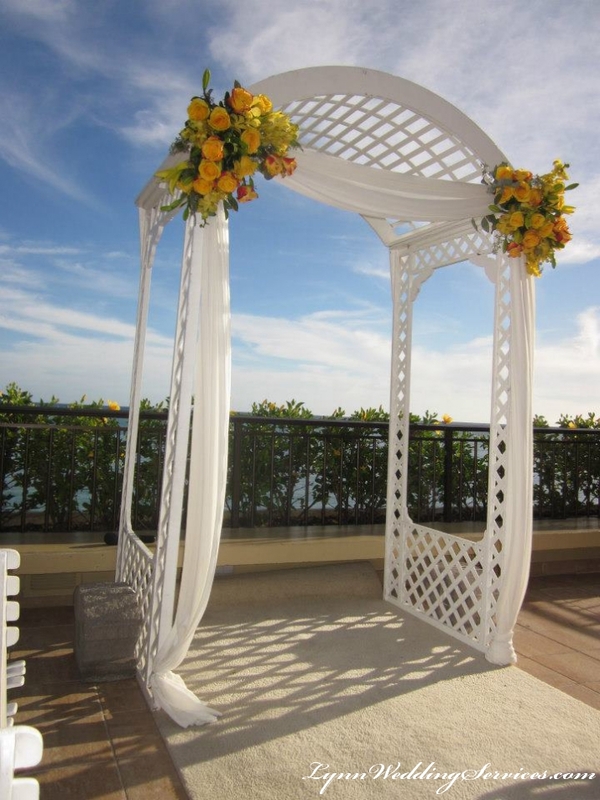 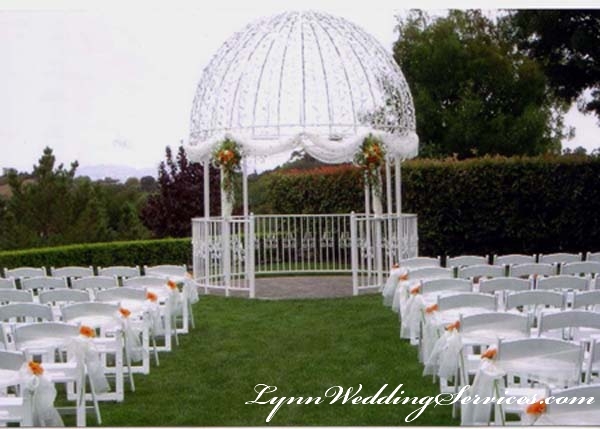 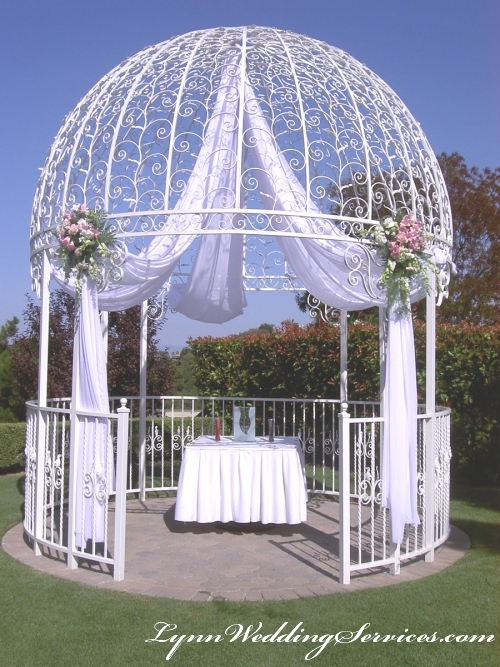 – Decorations on any already provided arches, gazebo that already existed. 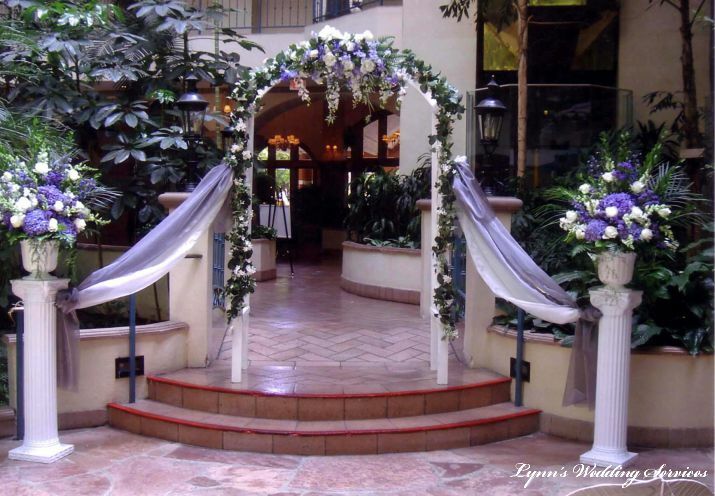 – Candleabras rental and flower arrangements for the ailse. 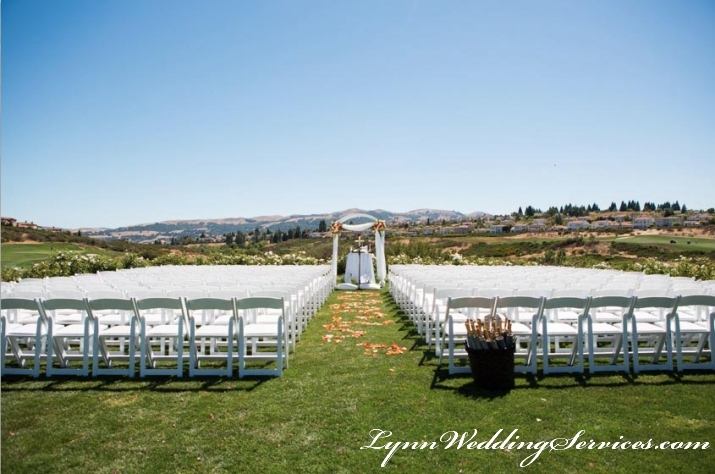 – Swaggings fabric between church benches, seats. 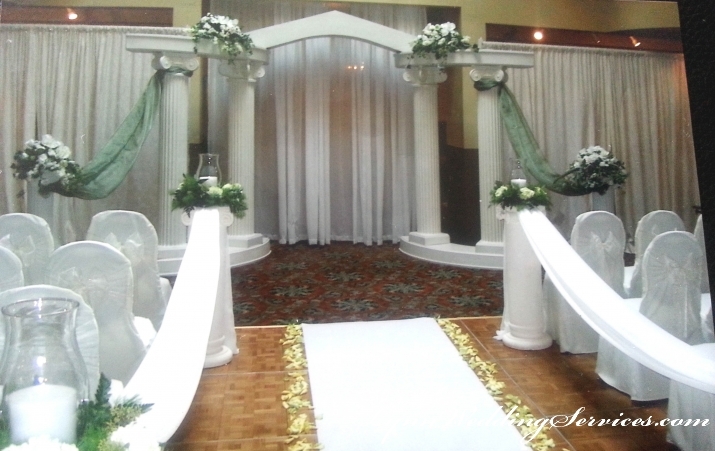 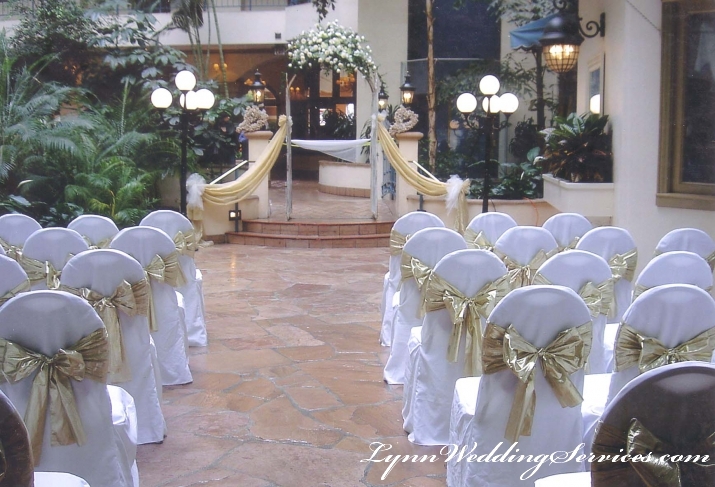 – All related Ceremony Decorations or Rentals need.